From start to finish, whether it’s your first home or your third, your home purchase should be seamless and stress-free — because you deserve no less. Buying a home in St. Louis is just as exciting as it is intimidating — especially if it’s your first home. There are so many beautiful properties and great neighborhoods to choose from, how will you decide which one is right for you? 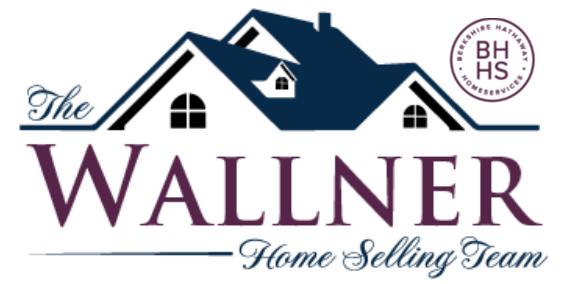 That’s where The Wallner Team is here to help. As local experts, we can help you navigate the St. Louis real estate market with ease. We’ve lived here our whole lives and love this city’s blend of new-age urban culture and classic country lifestyle. Whether you’re looking for a chic condo near the downtown or an acreage property in the country, we’re here to help you find the best possible home for your family’s needs, wants, and budget. Ready to start looking for a home? Register for an account to unlock enhanced search features now, or start searching for your next home in St. Louis County now! An important first-step of any home purchase is to first secure your financing. There’s no worse feeling than finding a home you love and making an offer on it, only to find out that you actually aren’t approved to borrow that much or that the seller wants someone who’s already approved. Avoid the heartbreak by finding out if you can borrow and if so, how much. Pre-qualification will help you determine if you could potentially qualify for a home loan. This is a very quick and simple process and doesn’t look too hard at your credit history. Pre-approval, on the other hand, digs a little bit deeper. This process will look at all of your finances to determine how much you can afford to buy. 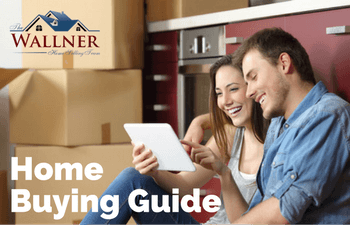 Your lender will also help you determine which type of loan would best fit your lifestyle. Once you have the money in place, the fun can begin! The next step on the path to your perfect home is to find a great real estate agent. Look for someone who’s been working in the area for a very long time, because they’ll have insider knowledge about the pros and cons of different neighborhoods and cities. Aside from industry experience and market knowledge, they’re also going to always be on the lookout for a home that fits your priorities because it’s their job to. You have other things going on: work, family, activities, it’s unrealistic to refresh the screen on your computer every 15 minutes to be the first to jump on a new listing. Again, that’s where we come in. Our website offers a state-of-the-art service that will send you listings that match your preferences the moment they’re listed on the MLS®. Between your agent, this service, and our exclusive Love It or Leave It guarantee, we’re 100% committed to helping you find the perfect home. Whether you’re from the area or moving here from somewhere else, your agent can help you find the ideal neighborhood. Where the home is located is almost as important as the home itself. How far is it to work every day? How close in proximity are the homes to one another? Are there lots of kids in the area? Are there grocery stores or walking trails nearby? Tell your agent what’s important to you and they’ll help you find it in this vast market. Or, click below to find out more about the different cities and communities in St. Louis County now!